At Gilbert Cardiology’s Center for Vein Health, we are pleased to offer comprehensive diagnostic, treatment, and management services for venous disease. Venous reflux disease affects millions of patients annually but only a small portion of these patients seek treatment for their symptoms. 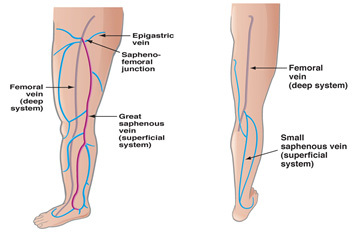 Superficial venous reflux, which often results in varicose veins, may potentially be the cause of pain in legs which can interfere with daily activities. Varicose veins are known for their distinctive blue color and bulging appearance under the skin. Varicose veins and venous reflux disease affects 10-20% of the adult population in the US, which is approximately 25 million people. Your legs are made up of a network of veins. Healthy leg veins contain valves that open and close to assist blood to return back to the heart. Venous reflux disease develops when the valves that keep the blood flowing out of the legs and back to the heart become damaged or diseased. This “reflux” , or backward flow of blood, can cause blood to pool in your legs and can lead to symptoms such as varicose veins, pain and heaviness in the legs, swelling in the legs, leg fatigue and heaviness, color and texture changes in the skin of the legs, and skin ulcers. What are the causes of Venous Reflux Disease? A variety of factors can contribute to venous reflux disease. Women are more commonly affected with venous reflux disease than men. Pregnancy, hormone factors, use of birth control pills, and menopause can contribute to the onset and progression of the disease. Other factors than can contribute to venous reflux disease are standing or sitting occupations, obesity, hereditary, and aging. How can we treat Venous Reflux Disease? There are a variety of treatments that can be explored to treat venous reflux disease. Your doctor will work with you to devise a specific plan of care that will best treat this problem. Options may include compression stockings, medications, venous ablation, or other interventions your provider feels may provide you benefit. The Venefit ™ procedure is performed in our office on an outpatient basis. Using ultrasound, your physician will position the Closure catheter into the diseased vein through a small opening in the skin. 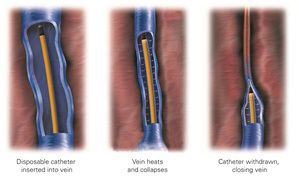 The tiny catheter delivers radiofrequency (RF) energy to the vein walls. 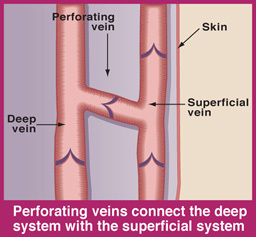 As the RF energy is delivered and the catheter is withdrawn, the wall of the vein is heated, causing the collagen in the wall to shrink and the vein to close. Once the diseased vein is closed, blood is re-routed to other healthy veins.